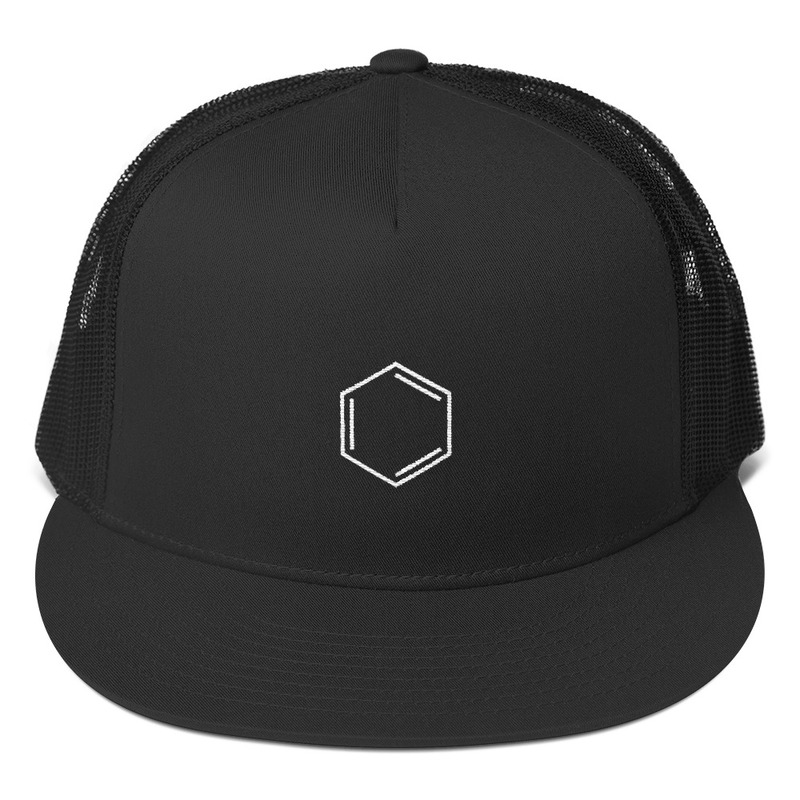 Benzene molecule on a beautiful cap! Takes your geekiness to a whole new level. 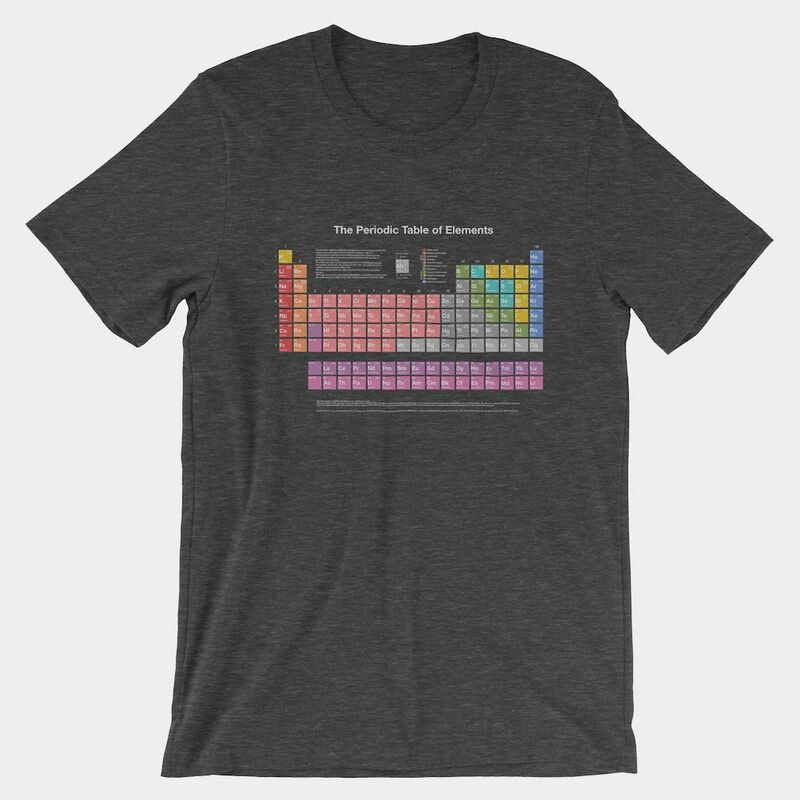 Show that you love chemistry in a stylish way! Embroidered in the US 🇺🇸. In benzene we trust. Embroidered in the US 🇺🇸 and EU 🇪🇺. 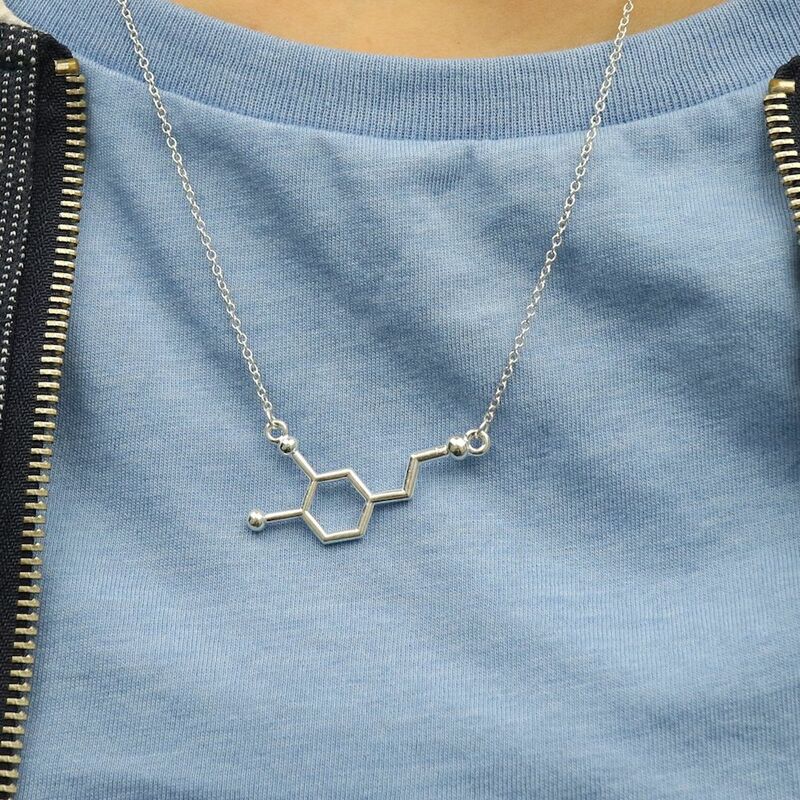 In benzene we trust. Takes your geekiness to a whole new level. So elegant and beautifully simple, yet so nerdy. 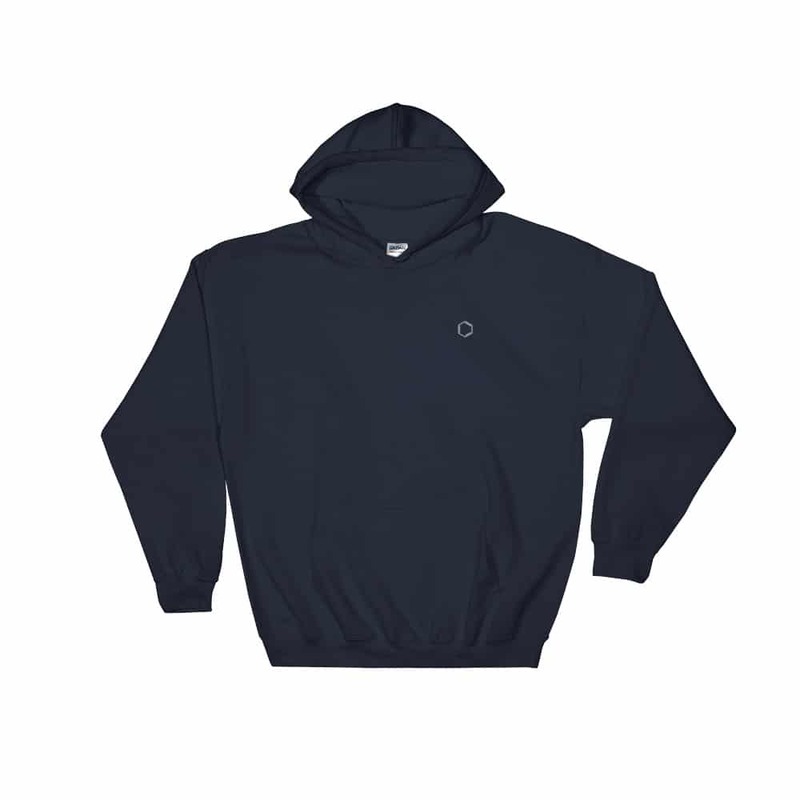 Everyone needs a go-to, cozy unisex sweatshirt to curl up in, so go for one that’s soft, smooth, and stylish. 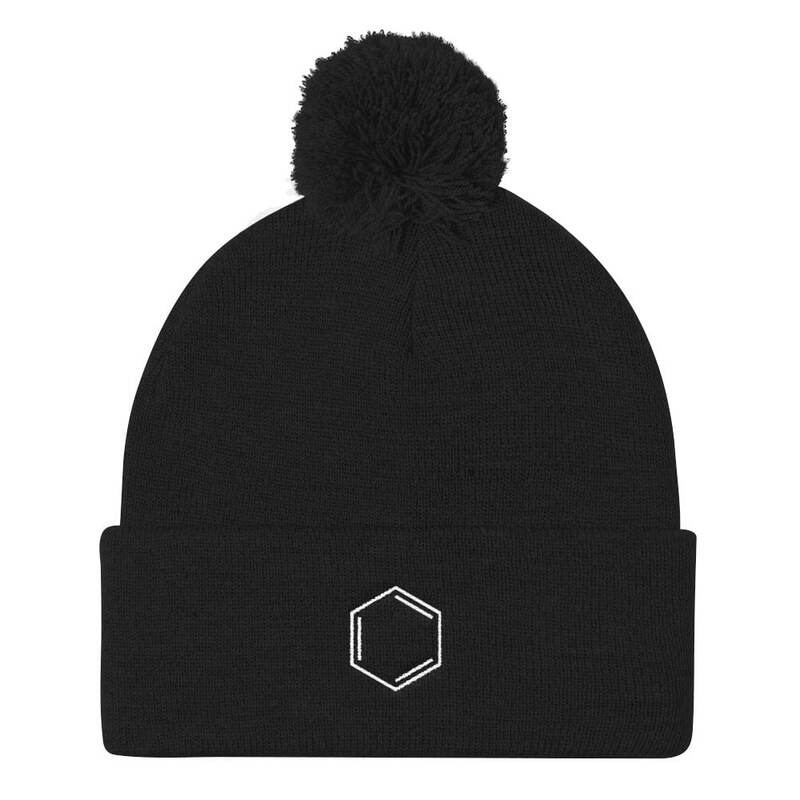 It’s also perfect for cooler evenings! 3D printed on demand. 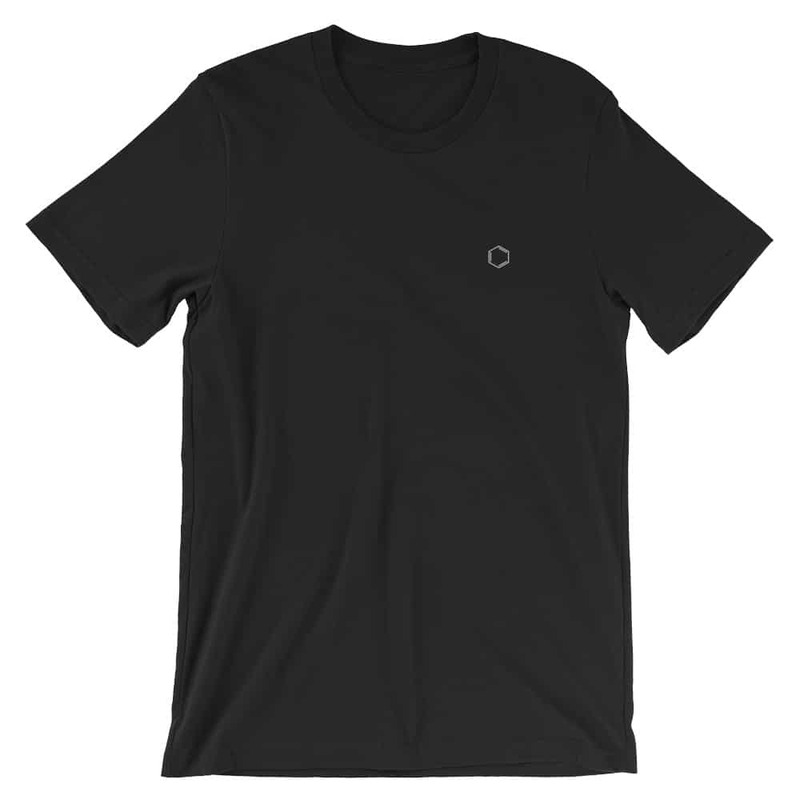 Ships around Thursday May 2nd. Ships from New York USA 🇺🇸¸ or Eindhoven NL 🇳🇱 (whichever is closer to you). Comes in a little black velvet bag. 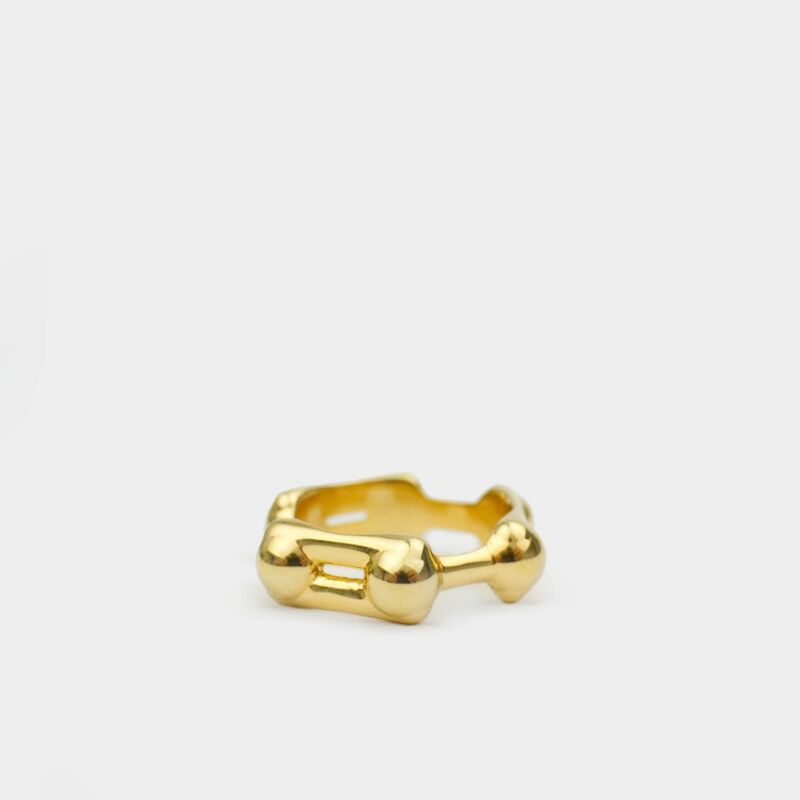 Need another ring size? Write us an email. Benzene is an important organic chemical compound with the chemical formula C6H6. 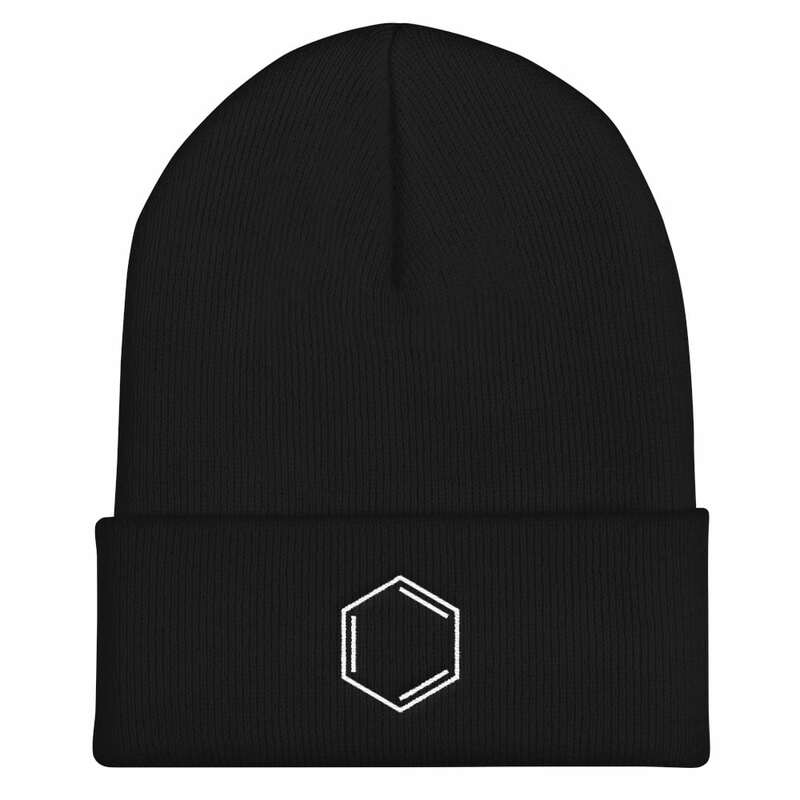 The benzene molecule is composed of 6 carbon atoms joined in a ring with 1 hydrogen atom attached to each. Many important chemical compounds are derived from benzene by replacing one or more of its hydrogen atoms with another functional group. Examples of simple benzene derivatives are phenol, toluene, and aniline. 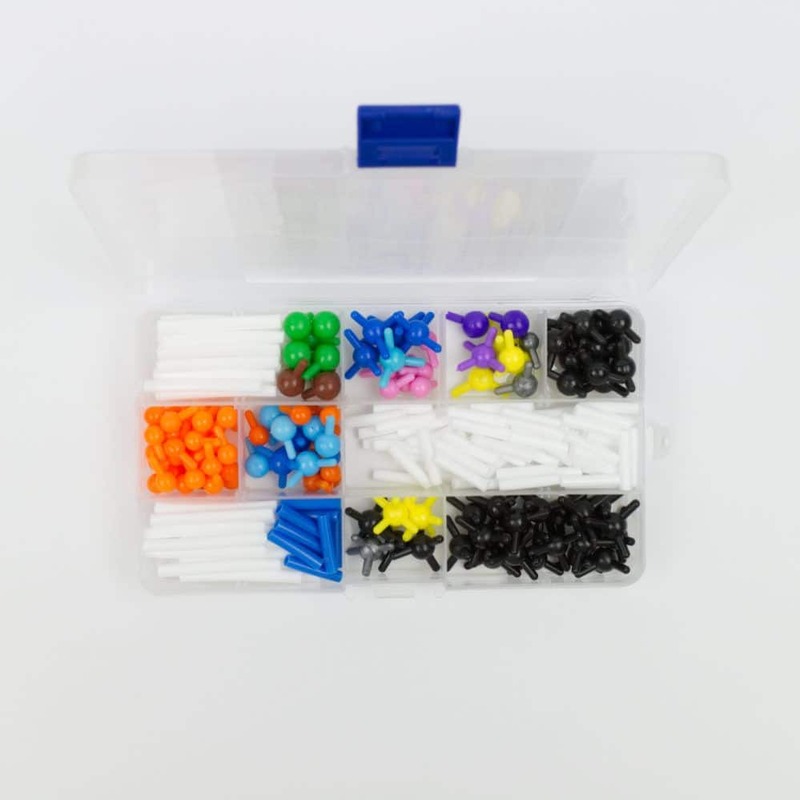 This 9 mm molecular model set has 268 parts and you can make any common organic molecular structures (alkanes, alkenes, alkynes, ketones, alcohols, organic acids, benzene, etc.). 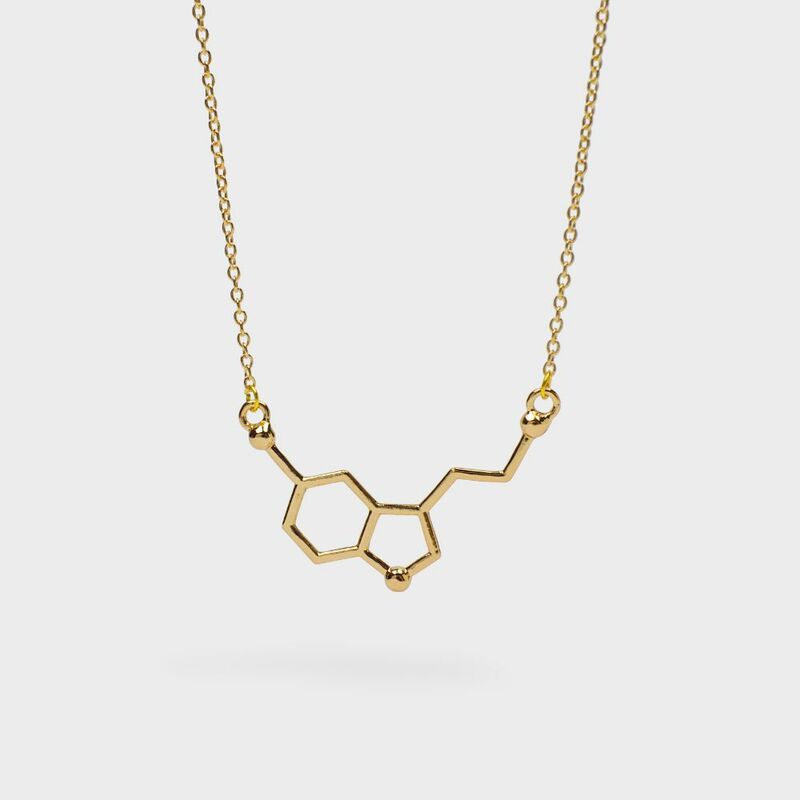 It’s all you will ever need to build molecules in a very small package. You can construct any common organic molecule (with this big set you will be able to build almost any molecule). 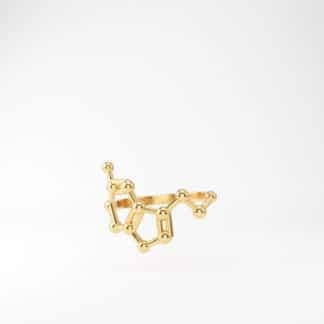 Very beautiful single, double and triple bonds and special short bonds to keep benzene molecules small. 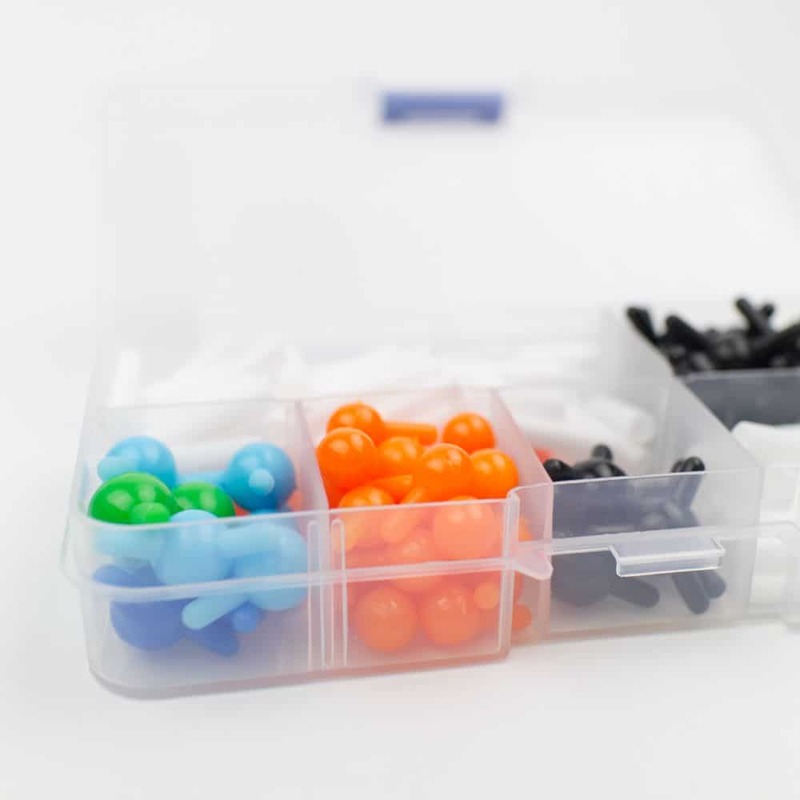 Constructing molecules with this set is so much fun and yields very beautiful models. 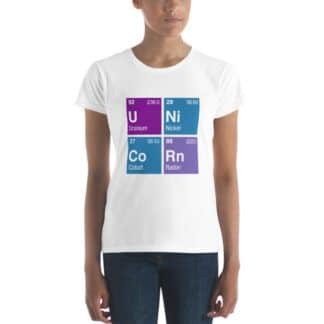 Great for the classroom or living room, chemistry students, chemists or just chemistry lovers! 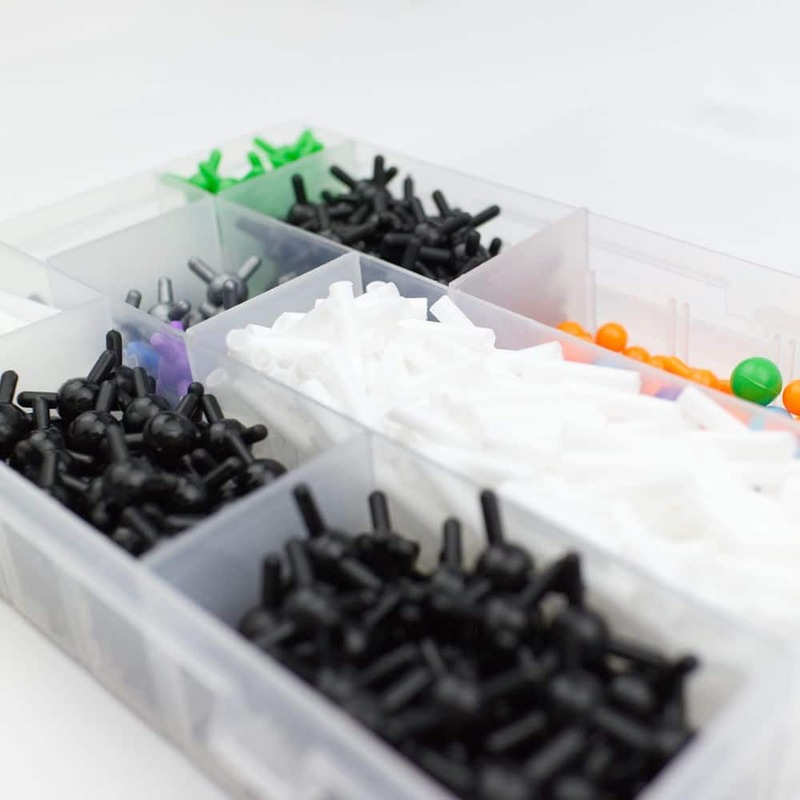 This molecular model set has 135 parts and you can make common organic molecular structures (alkanes, alkenes, alkynes, ketones, alcohols, organic acids, benzene, etc.). Our smallest molecular model set! 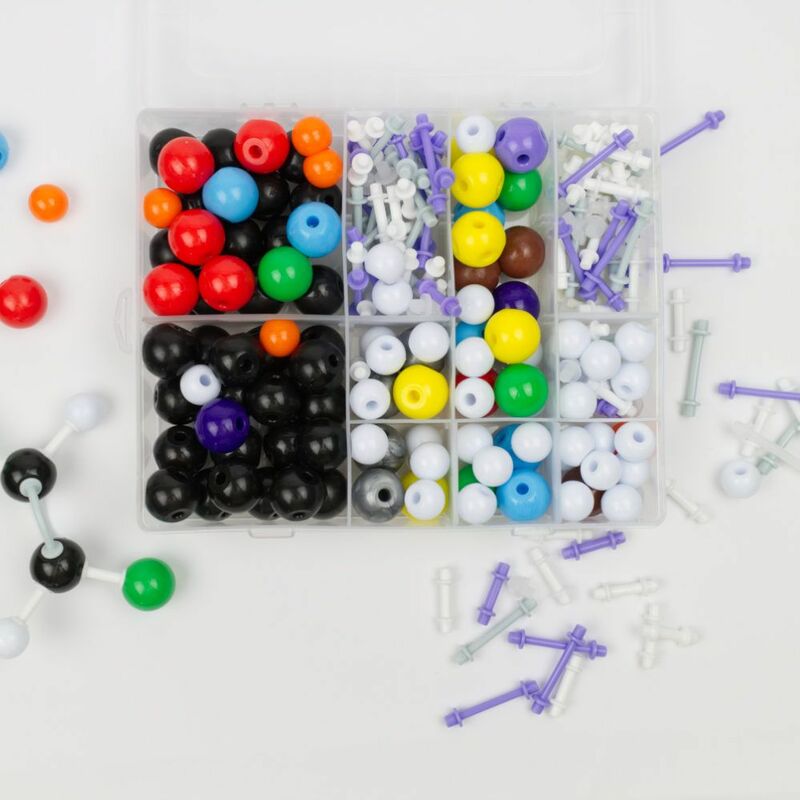 This molecular model set has 620 parts and you can make common organic/inorganic molecular structures (alkanes, alkenes, alkynes, ketones, alcohols, organic acids, inorganic acids, benzene, etc. ), as well as common crystal structures including, for example, C60 buckyball, diamond, graphite, sodium chloride and others.